Like many who suffer hair loss I have spent a long time looking for answers and I want to share my story of the winding and never ending road that FUE has led me down and the Pandora’s Box I opened in the search of a magical solution. Take from it what you will; my only hope is that something in it serves some use to someone somewhere. About 3 and a half years ago my hair loss became more noticeable to me and other people than it had been before. I suppose because of the way I used to wear my hair all long at the back and messy (almost like Sylvester Stallone in Rambo) it had been OK to get away with it but as the hair loss progressed, it was getting harder to style this way. At the time I was on a break from my career which I had taken to spend some time with my fiancée whom I had recently proposed to. The hair loss didn’t bother me that much because my personality had always been quite confident and cheeky and it had worked for me and I was ok with the idea of a clean shaven look in the future even though there was the risk of it not suiting the industry I was in. It did however make me unhappy knowing that all my fiancée wanted was a picture perfect day and wanted me to try and maintain my hair for or at least until our wedding day. One night we had both gone to an industry event when I noticed someone who had been on the thinner side had suddenly developed a great head of hair. The Mrs managed to find out it was from FUE and through her research, found a company in Athens that seemed to tick all the boxes. Their website was impressive, even more impressive was the fact that they gave me an email data base of past patients to contact. The way in which they sold it to me was that it was no big deal; it was no different to going to the dentist, just in and out without too much fuss. Not really considering it to be cosmetic surgery I decided to jump straight in and go for it thinking it will be really main stream and practically the norm one day… about a year before we planned to get married! I had a good doctor who took out minimal grafts and I was shocked at how non surgical the whole procedure seemed. I came back home after a week and then spent months indoors making up excuses about being too busy with work to be able to go out. All I was doing was sitting in the house waiting for the hairs to grow, looking in to a mirror every chance I could and just driving myself crazy. I did get decent results and started to feel some relief but then I began to lose again in another area so decided to go back and speak to this company. They of course turned around and said it was no problem and that I had an amazing donor site (beware of this line as it seems a lot of doctors do this) so I should definitely have some more done. Except for my personality during those months of captivation, I thought about how easy the procedure had seemed and knowing that my fiancée was due to travel for work for a couple of months, I snuck off to have another one done. The reason I chose not to tell her this time was I figured I could handle it all a lot better than the first time and so didn’t want to cause her any anxiety. Except this time they completely messed everything up. I was given a surgeon who was far more interested in making her Botox appointment than she was on my procedure and ironically she had taken out more hairs than both my 1st and 3rd doctors combined in HALF THE TIME that either one of them spent on me! My results were rubbish with only a 50% yield at the most which still gave me a chance to cover more thinning areas but I had now started experiencing severe irritations in my donor area which still hasn’t fully gone away to this day. I had at this point started acting stranger than ever. I would be my old jokey, cheeky cocky self when I was at home but the minute there was any reason to have to leave the house I would completely seize up and become ridiculously conscious. Even though I could style my hair enough to look decent I would go out and be obsessed with keeping an eye on it. My mood would switch and I would be short tempered and completely panicked. My fiancée was beginning to regularly accuse me of having a split personality. Everyone kept saying I was acting weird but they didn’t know and couldn’t understand why. By this point the problems were bad in my relationship but I just couldn’t explain even to my fiancée how badly all of this had been affecting me. She thought we were having a break from our relationship when in fact all I was trying to do is go into hiding after my second procedure. I’m not going to go into this too much as its not really going to help anyone but lets just say I was beginning to destroy everything good in my life and I didn’t know how to help myself. I wanted her to somehow miraculously figure out what I had done or notice something seeing as she was the one who wanted it in the first place but of course why would she have. If I am honest we did both go into this naively thinking it was the next big thing but in my heart of hearts I had only really done it because I knew how she imagined our wedding day to be and I was beginning to resent her for it all. Anyway a few other things happened and things were said and done which couldn’t be taken back and the relationship eventually fell apart. This time I really did want and need to go away. The Athens Company had offered me a free corrective procedure so I did some research and managed to get the best doctor they had and booked myself in for the 3rd procedure in two and a half years. I had planned to go away for 3 weeks but this surgeon insisted he wanted me to shave my entire head which I had never done before (but would now always recommend as it does ensure better results). He was definitely one of their best doctors, he took his time and was ethical in that he spoke to me and was honest about what I should expect. I can’t really fault him but I knew I was done with the company itself because of the experiences I had previously and their attitude to this procedure being some sort of mass production. They are fortunate to have this doctor on their staff but besides him, that company is by far no where near even decent compared to what is out there. Because I had shaved my hair, I knew there was no way I could go back and get back to reality. So I made up a make believe itinerary and told everyone I was off travelling for the next few months. I locked myself in the house only going out in the middle of the night for food and spent my time researching all these destinations I was lying about visiting just so I could sound like I had been there. I read so much and told people so much I actually at times started to believe I had been away on holiday. At this point my hair was looking very patchy and quite crap so I wasn’t really expecting the best results. I did get good results though but the hair loss continued. Something doctors don’t warn you about when you sign up for HT’s is how necessary Propecia is. I had always been dead against taking Propecia for reasons I don’t want to go into but it in the end I felt I had no choice but to try it and it did perk me up for a bit and I have to say made the overall results look even better which only made me think how different my life might have been had I gone on it earlier. Anyway I only intend to continue taking it for another couple of years at least until I can get my life back. It can never be a long term thing for me because lets face it no one really knows the damage it can do. The last doctor had also made me realise that this was going to be a never ending journey for me and so I decided to spend the time researching for the future which is how I found about all the other doctors out there and these forums. The forums were great in that they made me realise just how many people out there suffer similar problems with hair loss and I spoke to some great people through these forums who helped me with advice and guidance. Before then I used to think the company I previously used were the best because they had advertised themselves to use a technique far different and far superior to FUE when really it was the same and they were a joke. I also spoke to and looked into all the recommended docs like cole, feller etc and the forums were great for researching these docs but as useful as the forums are they can drive you equally crazy. For example there wasn’t much info regarding Dr Woods who I have decided to go with, yet one of the people I spoke to about my hair loss was another HT doc who only had good things to say about woods which I guess confused me because that was the last thing I would expect from another doctor. I did think feller had good results and there was enough information on him but for me personally I just never felt in my gut he was the right doctor for me. Maybe this isn’t a good enough reason in your opinions but something never added up for me and sometimes you just have to go with your instincts. My heart always seemed to be with Dr Woods. Something about the fact that he pioneered the technique, that he does limited number of grafts a day and the fact that he does it all himself seemed very commendable to me. I feel that extracting and implanting have EQUAL importance and carry equal risk so I like the fact that he does it all himself instead of saying one part is less risky and can be dealt with by someone else. I also spoke to him at great length and he came across as very paternal which I found re-assuring. I am not going to deny that I am worried by the lack of available results of his recent work but I am just hoping that it is a case of him being so good that his patients simply move on with their lives after their procedures and don’t feel the need to come back to reminders of the darker times. Other people have also criticised his work and some of the images used to display results but to be honest I found that if you apply some logic, that it is obvious from patient history or size of the procedure that those results are actually good or the best they could have been. When I saw the work that had been done on Franklin, I was blown away. My thinning is also very odd with some areas being good and some patches being bad which makes it very complicated and so I am hoping to god that woods can do the same magic on me as he did on Franklin. As far as I am concerned, only one hell of an expert can deal with diffused thinning well and I do not see how someone with twenty plus years can get this wrong especially when they were already getting it right all those years go. The other criticisms on these forums of Woods are that he is expensive or almost greedy. Again if you rationalise this, it doesn’t really stand true. There are companies like DHI and HTC who run massive production line operations and if it was about the money then Woods could have done the same. Results would have been mediocre but he would still be raking in the money. Other doctors in the same price bracket as woods probably do 2 or 3 patients a day depending on the individual cases. Also I sometimes read the reactions to Woods’ prices and wonder if people have understood currency differences. You can pay 10 American dollars and that is acceptable but if you convert 15 Australian dollars and get 12 American dollars a graft (today’s exchange rate) then that is unreasonable? For a weency bit more you have the assurance that you are the only patient and he is the only doctor, I personally am OK with that. I went to see Dr Armani recently and he told me that he only works with a minimum of 2500 – 3000 grafts and that I don’t have to worry about my donor area because realistically there will soon be something else like stem cell research success which will find a new way of dealing with hair loss. I am no scientist but does anyone know for sure that the next big thing is only a few years away? Is ‘its only a matter of time’ enough of a reason to ensure you look above average for now? I want to know that my doctor is willing to stop at 500 grafts for my own good even if it means less money for him. At the end of the day I have lost far more then I could ever gain by going down this road to begin with. I always thought this was a miracle cure that only the rich people in my industry knew off and I jumped at the chance without thinking it through. What I should have done is just shaved my head and created a new image for myself. I am quite fortunate to have made some money so early on in my life but what about other people who have to wait a few years before they can save up and go for their next procedure and in doing so sacrifice money which would otherwise be for their children’s education or a holiday with their partner etc? This is one hell of a messed up industry which, despite working in a shallow and fickle industry myself, I am never going to fully understand. I digress … anyway I am sitting here with a couple of days to go before my trip down under begins. Because I have become so addicted to these forums and because I am feeling nervous and antsy, I thought I would write this all up as a therapeutic exercise. I will be in oz for 2-3 weeks where I know I will be too nervous to enjoy myself in case I do any damage to my new work. I am then off to a far far away place to once again lay low for many months as I conjure up make believe adventures to feed my family and friends with. In my many months of reading other people’s stories and posts, I have found there to be a great deal of useful information which I only wish I had known about to start with. However my one criticism would be that there seems to be a great deal of politics and affiliations on these forums which have confused me. The forums have in some way actually made me more nervous about my next procedure than I had ever been about my previous ones. So I have decided that now my background is on display in words, going forward I will tell my story through photo updates. After all a picture is worth a 1000 words and look at how much space all these thousand of words have taken up! Everyone has different opinions and theories and I don’t want to spend time debating things. Hopefully my results will be good and speak volumes and this way I can come on once a month and post some pics for everyone to make up their own minds. There are enough experienced people on these forums to answer any general questions that newbies may have and I have noticed that woods is also active on this forum, so maybe he will be willing to answer any more specific questions. I don’t particularly want to continue to torture myself on these forums anymore. This time I want to spend my time reflecting on my life and planning for a hopeful comeback in 2010 and imagine life after hair. I am at a good stage now and I am going to try and be grateful that I did end of up with 2 at least decent doctors accidentally despite using such a shockingly money minded and uncaring company , but my hair is still not manageable. I will only be having a small procedure done from Woods (500 -800 grafts but he will know better when he sees me in person). I am hoping this will be enough to correct the situation making it easier to live with my hair on a day to day basis so that I can begin to turn my life around and make it up to all those people I have hurt or ignored. My family all think I am too busy for them and don’t care enough to make time for them and I need to change all this before it’s too late and I ruin yet another thing in my life. So I hope that I have made the right decision and that this next step in my life will bring with it a change of fortunes for me. Wish me luck! Man this is the first time i read a post in these forums and its like seeing everything with my own eyeswithout ever been in this place. You have a talent in writing and only from your words i felt your pain!! !My friend thank you for sharing this with us best of luck with your procedure with Woods. P.s. I saw a post from mj2003 before it was deleted by hairsite. Mj you are clearly a psycho you need professional help!!! New start all the best! You are in good hands with Dr. Woods. Please post a follow-up after surgery. Wow Newstart, Thanks for sharing your story. I wish you the best and really hope things get turned around for you. What is this? A place to vent out deep down routed troubled feelings? This is not rehab. Just provide the basic info along with before and after photos. Everything is meaningless. Wow, that is some story! I am thankful that I haven’t started the ht journey yet and honestly after reading your story, I am in no hurry to start. That was a good story, albeit a long one. I sincerely hope you can repair your hair and your life along with it. If there’s an underlining theme I noticed on these forums is that hair transplants rarely solve anything. I would like to add that the quote below concerns me the most; you’re not the first person to say something similar. » photos. Everything is meaningless. If a guy wants to vent and share what he has been through, this is the place to do it. That’s outrageous, this is not the first time I heard that some doctors have a minimum charge, they are supposed to be acting in the best interest of the patients, pushing patients to get 2500 grafts when they only need 500 is a crime IMO. I think you made a good choice going to Dr. Woods, read his posts, I don’t agree with everything he said but it tells you a lot about his personalty, what he stands for and the quality of his work. » 500 is a crime IMO. I think you made a good choice going to Dr.
A smaller transplant of 500 grafts is not in the best interest of the patient. Sure it will mean a smaller procedure and less money in the beginning, but as the patient continues to thin and recede the patient will end up chasing his hairloss. This will end up costing the patient more money and much more time in the long run. He will be chasing his hairloss for years and years. A lot of clinics do smaller procedures like this so the patient has to keep coming back for more. I have spoken with countless hairloss sufferers who went this route and they ended up needing 7 or 8 smaller procedures to get the coverage they needed, when they could have received the same coverage and density from one large procedure. Going the route of smaller sessions wasted years of their life. Dr. Armani’s philosophy is to do a particular area right the first time, so the patient is happy for years and years. If a client needs work done in the front Dr. Armani will not just do the minimum grafts needed and HOPE that the patient doesn’t lose anymore hair. He will do the entire hairline, including temples and behind the hairline (zone 2). This way if / when the patient’s hairline continues to recede he is still happy and not thinning out behind the transplant needing to come back for yet another procedure a year later, costing him more time and money. "if / when the patient’s hairline continues to recede " EVERYONES case is different. Example . I only needed 2 procedures 1100 grafts that was over 6 years ago. Still happy not lost anymore hair and I am 46. Am I done for life? Probably not. But why pack more grafts in a area when one does not need them and have the risk of big shockloss or not having all the grafts grow? Again everyone’s hairloss is different. A small transplant of 500 grafts is definitely not in the best interest of the patient. 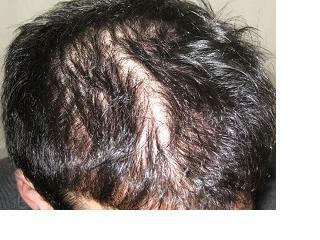 Even with a touch-up procedure 500 grafts is on the very low end. If someone makes the decision to move forward with a procedure they should do so with the intent of achieving a great result which will last for years. The only thing a transplant of this size will do is keep the person coming back for more work year after year. I dont know about you, but I would much rather experience a HT 1 time, get amazing results and be done with it as opposed to many smaller procedures. Let’s be honest here, there is a significant waiting period after the HT to see the finished results which I personally would not like to experience repeatedly. The patient’s the boss NOT the doctor. A Doctor should never be bossy or up-sell products like a used-car salesman. Your one ‘treatment line’ doesn’t hold any water. Most recipients are seldom satisfied with one transplant (regardless the graft counts). I’ve seen plenty of Armani patients (on hairsite) go back for more transplants. It’s a commonplace phenomena in this biz. If a patient feels comfortable restoring their hair slowly than their doctor should feel empathetic to that need (unless, of coarse, that doctor is driven by personal, financial gains). Newstart, I wish you would have found these forums earlier and not have gone to the clinic in Greece. It is a shame that you had to waste so much donor,down time, money, and your emotional well being. You are fortunate that you decided to have your HT’s via FUE. The only thing your story is missing, is one or more large strip scars at the back of your head. You still have the option of shaving your head. Five hundred grafts is a very small amount of grafts. The coverage it provides is very minimal and really not enough to make any real cosmetic difference. I had 4055 grafts with Dr. Armani, I could not see myself sitting int the HT chair eight times to get that amount of grafts. Newstart, I wish you much luck . » donor,down time, money, and your emotional well being. » of your head. You still have the option of shaving your head. » sitting int the HT chair eight times to get that amount of grafts. » Newstart, I wish you much luck . True, but Armani doesn’t do 4000+ grafts single-sessions anymore (no more strip). At present your choices would be restricted to these two options: Get one-3500graft session or two-2500graft sessions (or perhaps one-2500graft session followed by one-2000graft session). 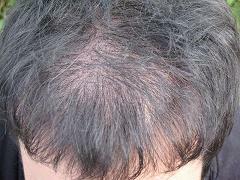 Your hair looks great with 4055 grafts, but would you be happy with 500less grafts (ie from one-3500graft session) Suddenly 500grafts becomes a relevant value. Furthermore, would you be happy paying Armani for 5000grafts (two-2500graft sessions) when it’s clear you don’t need those extra 1000 (or even 500) grafts? 0h come on this whole graft count thing again.Every person is different on what he needs, you cant put a minimum on FUE, its not like strip where you have to go all the way since they cut your scalp. FUE should be more flexible by definition you could go in for 100 grafts to fix a small spot at the hairline where you want more hair for example. you could go for a touch up of 500 grafts or i dont know what. 500 grafts is nothing suddenly?if your donors capacity is 6000 grafts lets say, then 500 grafts is important dont you think?From his pics i wouldnt say he needs 2500 now, where are you going to put them?what happens if he looses more hair? I just think that economics play a huge role, the doctor books a surgery date, his technicians work for a day…there is a minimum profit he has to make at that day. » even if it means less money for him. » for years and years.